In the quest for publication-worthy profile pictures, the photography industry is booming as people have more and more ways to share their gorgeous photos and memories through social media platforms. Adversely, that means more and more of us are stressing out about looking our best and pulling off model-worthy shoots, but happily I can share some tips to get your mind off of your face/body and free yourself to have a blast with your photographer! Even if you normally wear it minimally, or want a natural look, I advise wearing a little more than normal. A little eyeliner makes your eyes pop, a little blush makes you glow, and if you wanna go for the fake lashes- do it! On camera (and on a stage) the effect of makeup is downplayed, so even if it seems like a bit much in person, it will be perfectly balanced in camera. Trust me! And of course, wearing zero makeup is perfectly fine too if that's your prerogative. I just shot a wedding where the bride didn't have a single ounce of makeup on and she was stunning. Be you, always. I think I say this during every wedding - that pimple, scratch, birthmark, whatever is literally only a click away from vanishing. Don't worry about a last minute spot on your chin. Don't worry if your kitten decided to use your arm as a scratching post (well maybe worry because that sounds painful)! In Photoshop, it's called the "heal" brush, and all your photographer has to do is press "J" on their keyboard and click the rogue mark and it's gone! So don't stress!! Here's one for the guys. If you always wear a hat, you should probably wear one for your photos, too (if your partner is okay with it! ) Most photographers strive to capture people as they are, and if you live in your ballcap, bring it to the shoot! Just please, for your photographers sake, tip the brim up a little more than normal so your eyes aren't as shaded. Bonus points if your partner can hold a reflector for the photog to bounce some light up under there! Almost always, simple, solid color clothing choices look the best! Don't be afraid of color by any means, but I would try to avoid mixing patterns or having a print that's distracting. You are the star of these photos, and often the photographer will choose a background/location that will offer plenty of texture. 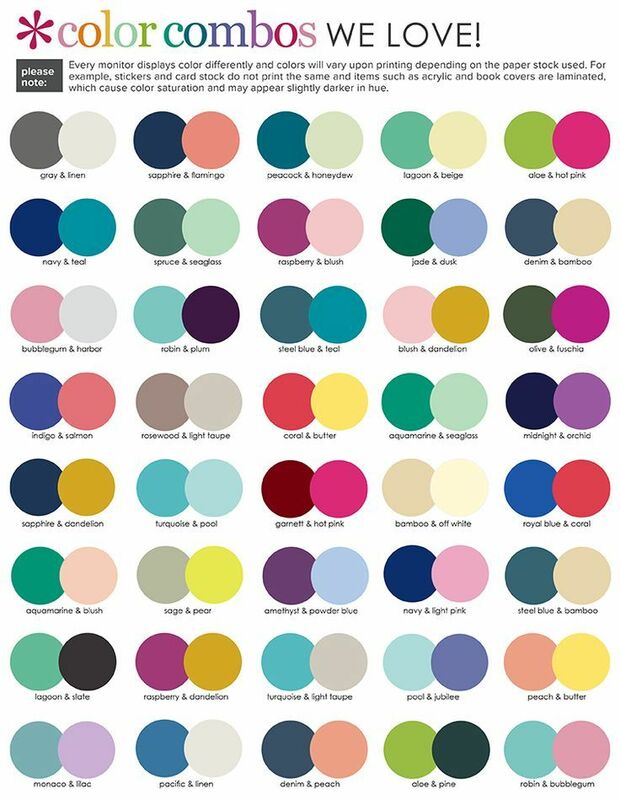 If you're having trouble figuring out color combinations, especially when you have to dress tiny humans (and maybe a big manly human too), you can check out this helpful info graphic, or just binge watch HGTV and notice all the wall color/accent decor combos. But seriously, I collect paint swatch collages for this reason. Leave the "heavy lifting" of the posing to the photographer, but small changes to your posture can translate into any pose and make you look like a million bucks. You can roll your shoulders back, bend a knee, tuck a thumb in your pocket (if you don't have anything to do with your hands), and push your face forward! But let me backtrack and emphasize the words "small changes." Don't get so caught up trying to channel your inner giraffe that you forget to just enjoy the person you are in the photos with! I can't stress this enough - if you aren't enjoying yourself you will look like... you aren't enjoying yourself. Plan to arrive to your shoot early so you aren't stressed about being late. Voice your opinion about something you would like to do or a place you would like to go (photographers love this!) Get to know your photographer! Ask them questions! It may feel like that weird "first date" convo ("So what's your favorite hobby? "), but if you feel like you know your photographer a bit better as a PERSON, you will look that much more comfortable and natural in your profile-worthy pics!